The Worksite Hawk: Schedule a Live Demonstration! 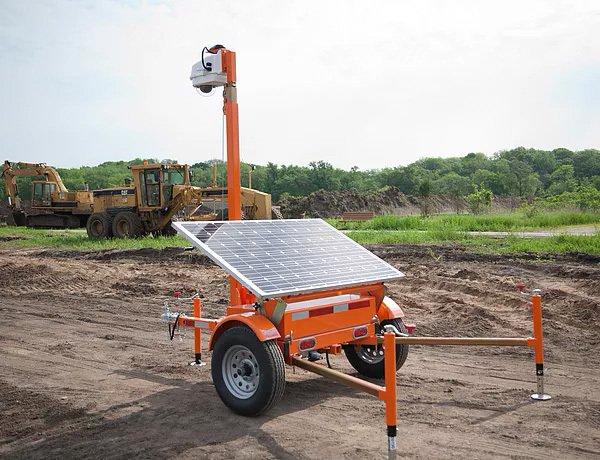 Since its introduction late last year, the Worksite Hawk has been changing the way owners and operators conduct business. Offering unmatched 24-hour security and management capabilities, this revolutionary advance in jobsite productivity technology has taken the industry by storm. You’ve heard that the Worksite Hawk is great, but you don’t need to rely on word of mouth. It’s quick and easy to schedule a live demonstration of the Worksite Hawk’s capabilities through Skype or FaceTime! This demo will showcase the Worksite Hawk’s incredible features, giving you a direct look at what will make it an indispensable asset to your operation. The demo is hosted not by salesmen, but the unit’s designers, allowing for a question-and-answer session that draws upon their wealth of expertise. Scheduling a live Skype or FaceTime demo saves time and resources compared to a face-to-face appointment, while also allowing multiple people to participate from wherever they may be. To schedule your live demonstration of the Worksite Hawk, call us at 319-415-1226, or email us at sales@CrossroadsMfg.com.